Bruce Lee remains famous decades after his death, which is why video gamers and casino players still love games themed on his fists of fury. 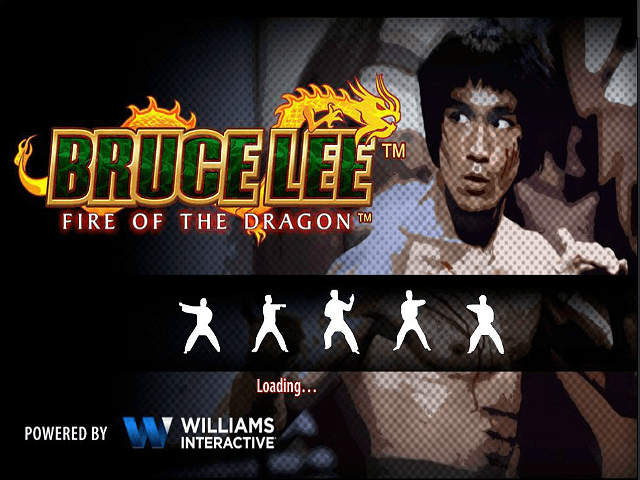 Software brand WMS is one company that's gained success with video slots based around the martial artist, actor and director, with the Bruce Lee: Fire of the Dragon slot being a huge follow-up hit to its original Lee-inspired game. WMS has maintained the slot's longevity by upgrading its playability and features regularly and it now includes 80 pay-lines set over five high-action reels! 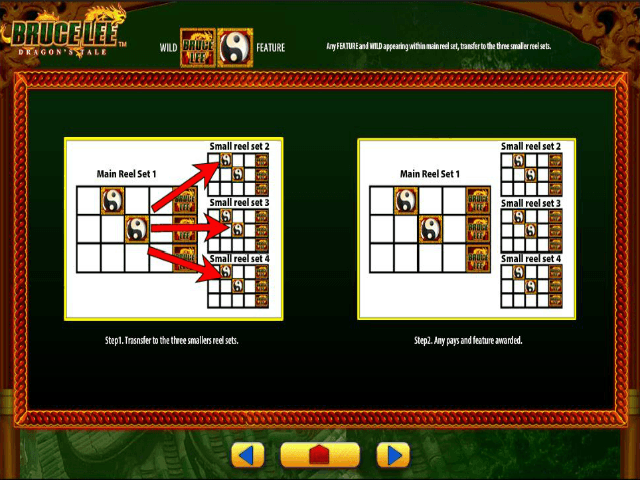 Play Bruce Lee: Fire of the Dragon for Real Money! As mentioned above, the Bruce Lee Fire: of the Dragon video slot from WMS is a progression from the software house's classic Bruce Lee slot game. The slotscape is themed on Lee's Chinese kung fu heritage, with red and gold colours, bold Bruce Lee imagery and arcade-style iconography including kicks and punches, Bruce's dragon wild, Yin Yang scatter feature, nunchucks, Chinese symbols and letters from the Chinese alphabet. And the sounds are straight out of China Town. The only downside is you're almost guaranteed to have to shell out for a takeaway after playing this game! However, there's a chance you could pay for a full platter of delicious delicacies, given the frantic potential for winning combinations offered by the slot's four-screen reel concept. 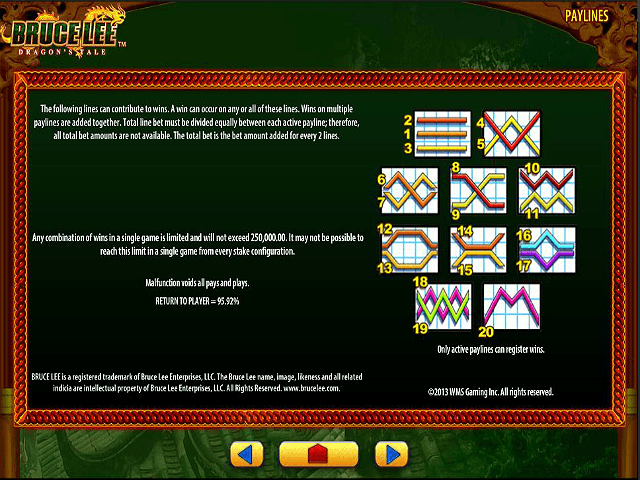 In addition to a large set of standard reels, Bruce Lee Fire also features three complete reels, with 80 total pay-lines (all of which must be activated on every spin). The four-reel concept means you can hit some very tasty winning sessions, but you'll need to ensure a sensible gaming budget when things don't go your way. In general, the 95.92% average return-to-player ratio indicates decent payback levels. As an extra bonus, landing three or more scatter symbols during the free spins, puts an extra ten spins into the bank. 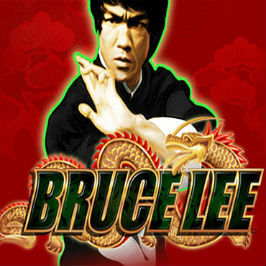 Bruce Lee: Fire of the Dragon is a high-velocity video slot with a retro arcade feeling – a winner for gamers who like a rush of adrenalin with the potential for hot winning streaks and big multipliers. Share this Bruce Lee: Fire of the Dragon Review today! 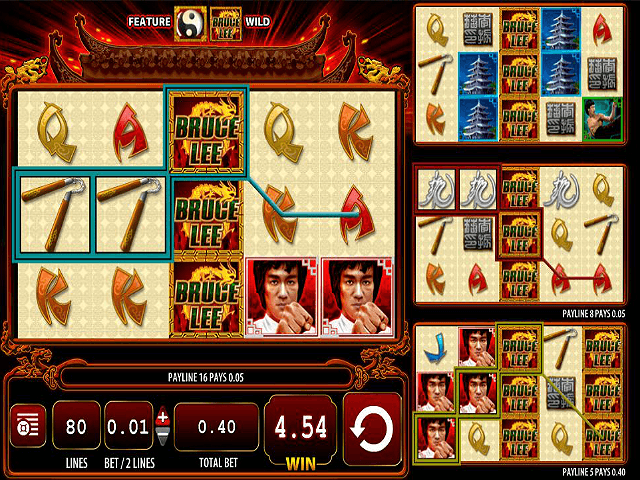 If you like Bruce Lee: Fire of the Dragon , you'll love these slot titles too!